Inspired by the new CBS show 2 Broke Girls, a few of my upcoming articles will be based on themes of the show. 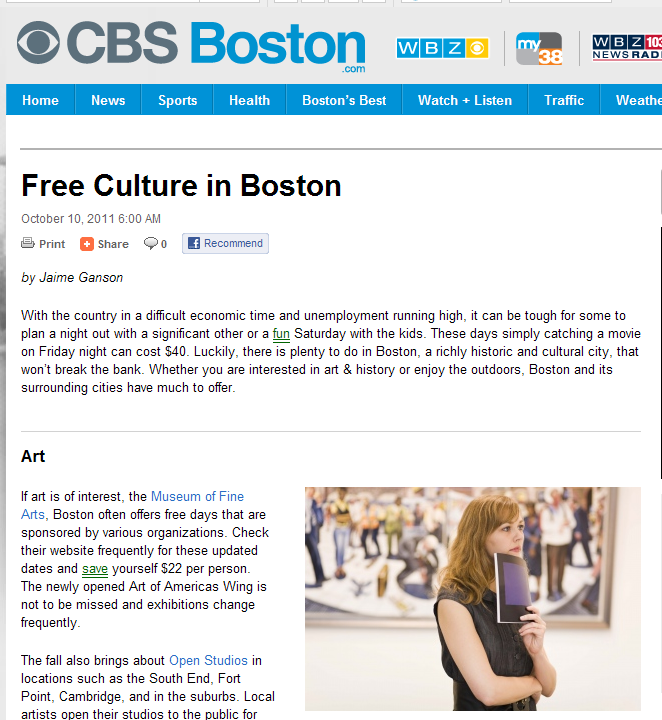 First up is a guide to Free Culture in Boston which posted today! Very cool! I'll pass this to some friend traveling to Boston this winter! follow me back… new post is up…. holler!!! You go on with your bad self! HOw great for you!